Comparison between Xiaomi Redmi Note 4, Coolpad Cool 1 and Honor 6X all three Phones comes with a Metal Body and Fingerprint Scanner priced under Rs 15,000 in India. 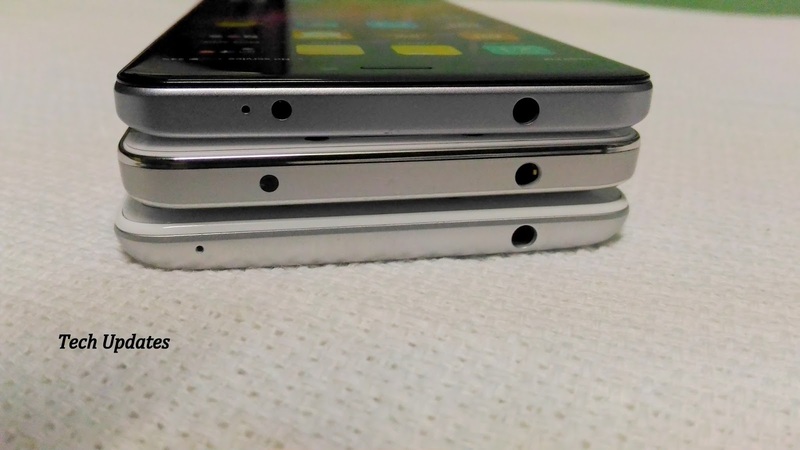 All three Phones comes with a Metal body design. 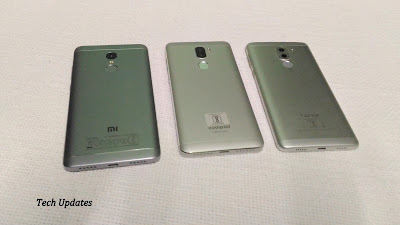 On the rear, there is plastic on top and bottom.All three Phones has a fingerprint scanner on Rear. All Phones has a 5.5-inch Full HD Display on the front there is earpiece, notification led and sensors. Redmi Note 4 measures 151x76x8.45mm and Weight: 165g, Cool 1 measures 152 × 74.8 × 8.2mm; Weight: 167g whereas Honor 6X weights 162g and measures 150.9×72.6×8.2mm Overall Design and Looks of All three Phones are Good.Coolpad Cool 1 build is better than Redmi Note 4 and Honor 6X. 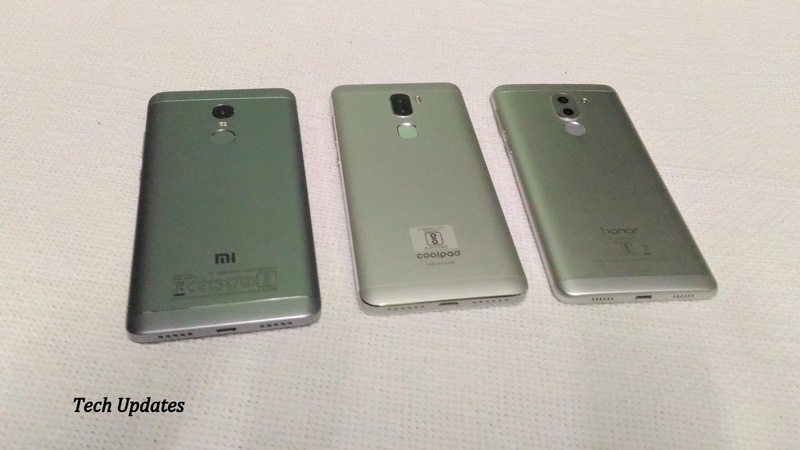 Xiaomi Redmi Note 4, Honor 6X and Coolpad Cool 1 feature 5.5-inch (1080 x 1920 pixels) full-HD displays all three phones provide good brightness levels, vivid color reproduction, and good sunlight legibility.All three Phones does not come with Gorilla Glass protection whereas Redmi Note 4 and Honor 6X comes with a 2.5D Curved Glass. 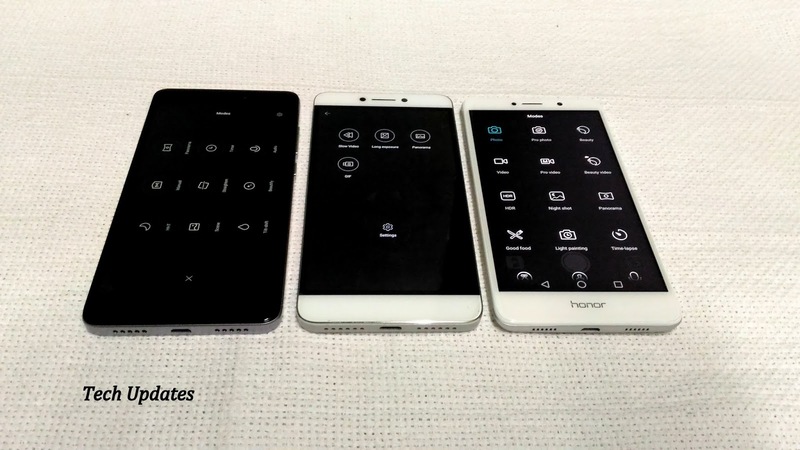 If we need to Choose 1 than Honor 6X Display is better than Cool 1 and Redmi Note 4. Redmi Note 4 comes with 2GB /3GB/4GB RAM options and 32GB/64GB of internal storage which is further expandable with MicroSD Card. 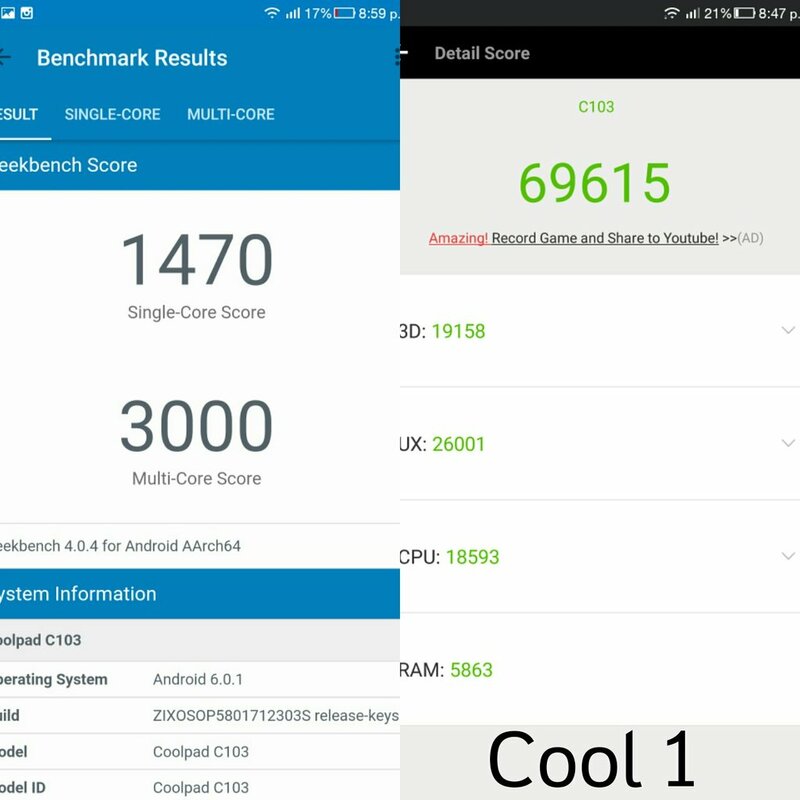 Coolpad Cool 1 in India has 3GB/4GB RAM and 32GB of internals storage with No MicroSD card support this is one of the drawback of Cool 1.Last Honor 6X also comes in two variants one with 3GB RAM and 32GB storage and 4GB RAM with 64GB of internal storage expandable up to 128GB. On Camera Redmi Note 4 has an a13MP rear camera with PDAF, Sony IMX258/Samsung S5K3L8 sensor, dual-tone LED Flash, f/2.0 aperture and 5MP front facing camera whereas Cool 1 and Honor 6X feature Dual rear camera and 8 Megapixel front facing camera.Cool 1 has Dual 13MP Rear Camera, Honor 6X has 12MP + 2MP Camera. In Day light all three devices produce good images whereas in Low Cool 1 is better than Honor 6X and Redmi Note 4. Cool 1 and Honor 6X comes with SLR model which gives bokeh effect and more. Cool 1 can shoot 4K videos whereas Honor 6X and Redmi Note 4 can shoot 1080 Videos. Front camera performance on all three devices are good all three comes with beauty and more modes. There are many modes available on Honor Phones which lack in Cool 1 and Redmi Note 4. Redmi Note 4 Camera has been improved compared to Redmi Note 4, but it can't take on Cool 1 and Honor 6X. Both Honor 6X and Coolpad Cool 1 Camera samples output are similar. On Connectivity All three Phone supports 4G VoLTE out of Box, Dual SIM,4G VoLTE. 3GWiFi 802.11 b/g/n ,Bluetooth 4.0. 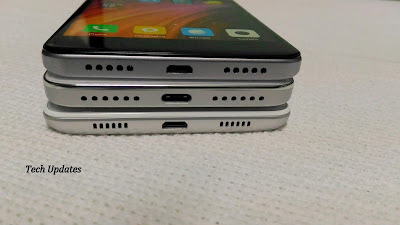 Redmi Note 4 and Honor 6X has a Hybrid SIM Support which means you can use Micro SDcard + Nano SIM or Two SIM cards. Honor 6X Supports Dual 4G SIM card, but you can use only 1 4G SIM at time Second SIM is Only 2G. Cool 1 has supports Dual 4G SIM with No MicroSD card support. 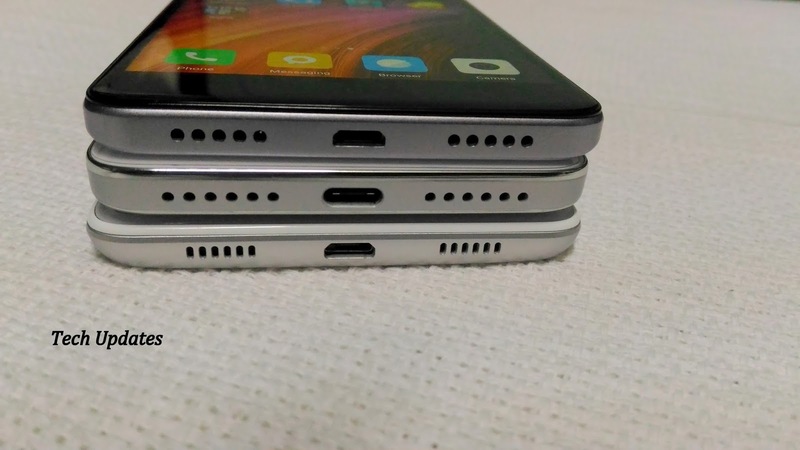 All three Phones has Speaker on the bottom when it comes to audio Honor 6X sound is low compared to Cool 1 and Redmi Note 4. Overall Sound is loud and clear when on Calls in All Phones. 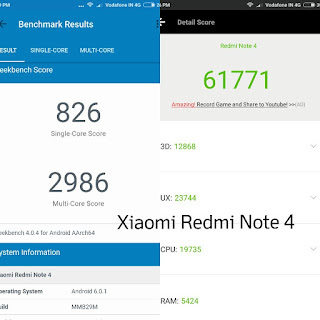 Redmi Note 4, Cool 1and Honor 6X runs on Android Marshmallow. Redmi Note 4 runs on MIUI 8. 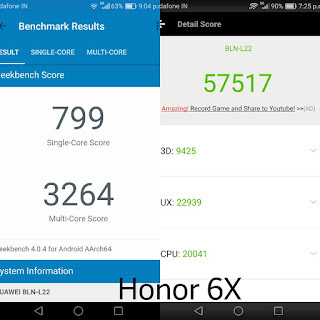 Cool 1 on EUI 5.8 and Honor 6X runs on EMUI 4.1. All three OS allows users to customize according to your need. Honor 6X and Redmi Note 4 expected to get Nougat Update Soon, No details when Coolpad Cool 1 will get Nougat Update. MIUI 8 offers better customization like Dual Apps, One hand mode and more. Coolpad Cool 1 is Packed with a 4060mAh Battery, Redmi Note 4 has a 4100mAh battery whereas Honor 6X has smaller 3340mAh Battery. All devices does not support Fast charging. Redmi Note 4 and Cool 1 can deliver battery life of 2 Days of Battery. Honor 6X can deliver Battery life of 1 day. 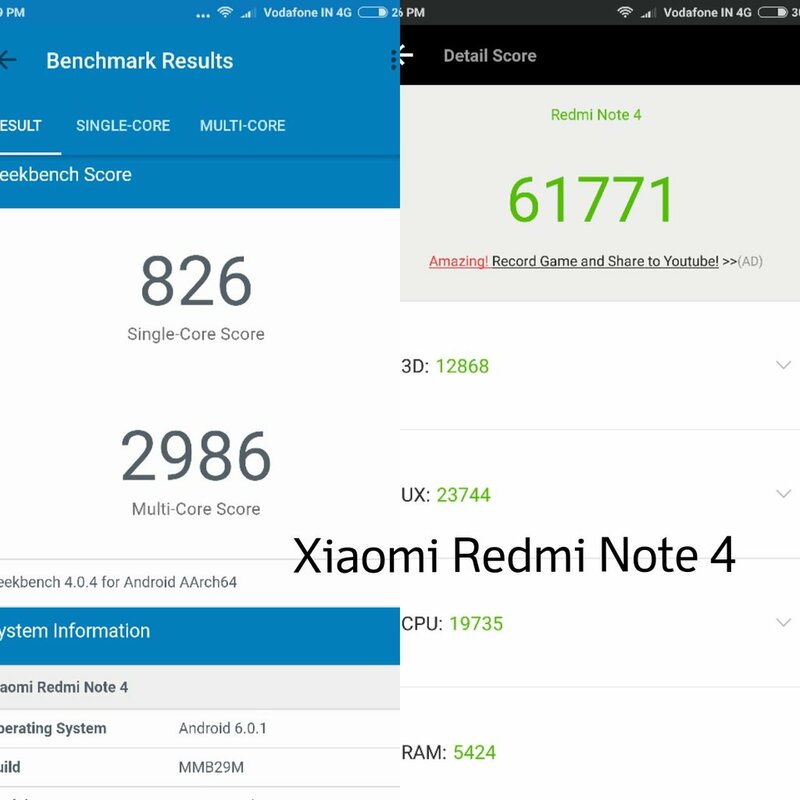 Redmi Note 4 Battery life is better as compared to other devices . Xioami Redmi Note 4 comes in Gold, Dark Grey, and Matte Black color. Redmi Note 4 with 2GB RAM and 32GB storage is priced at Rs 9,999 , 3GB RAM + 32GB ROM Priced at 10,999 and Rs 12,999 for 4GB RAM and 64GB .Coolpad Cool 1 is priced at Rs 13,999 in India for 4GB RAM Honor 6X comes in Gold, Silver and Grey colors and is priced at Rs 12,999 for 3GB RAM model and Rs 15999 for 4GB RAM variant available exclusively on Amazon. If Camera is your highest priority than Honor 6X or Cool 1 is available if not then Redmi Note 4 64GB variant will be Value for Money Smartphone from all Three. 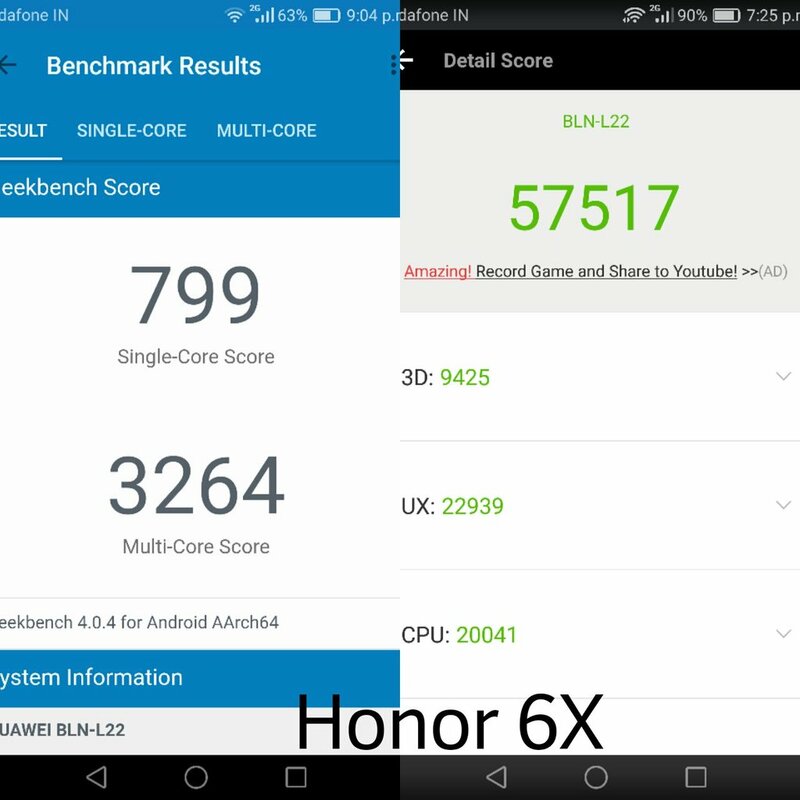 Honor 6X or Cool 1 which to Buy? Both Phones has Dual Rear camera and offers similar Camera Samples, Video is better on Honor 6X Compared to Cool 1. 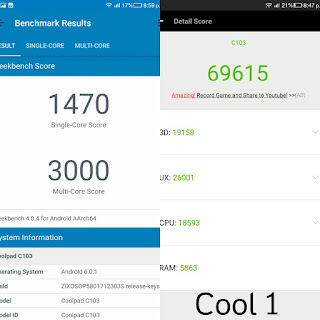 Cool 1 has a better processor than Honor 6X. Cool 1 does not support hybrid SIM whereas Honor 6X Second SIM support only 2G.